Fill in the field in yellow: Type a supplier name, a contact primary and the mailing address. Click on the Preferred Lane Tab. Select “Click here to add a new preferred lane”. 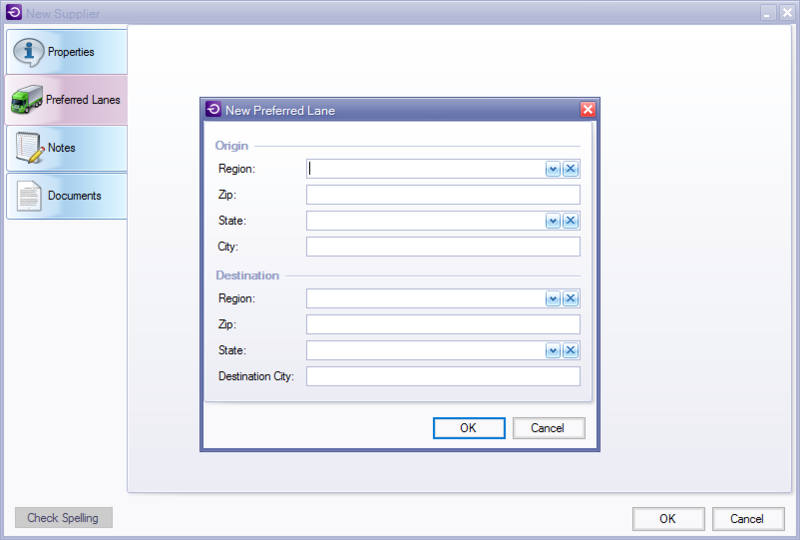 Fill in the origin and destination fields: Region, zip, state and city. The supplier is added to the list with the changes included. Click on: “click here to add a new supplier catalog”. Select anything item of the drop-down. Fill the fields in yellow: Base Price, lead time days and click on OK button. The new supplier catalog is added to the list.